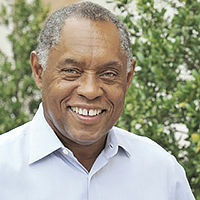 John Doggett is a senior lecturer of global management and entrepreneurship in the McCombs School of Business at The University of Texas at Austin. In 1882, Peter McGuire, a labor union leader, proposed the creation of a “Labor Day” holiday to celebrate and honor the American worker. Today, most Americans have no clue about how much things have changed in the past 150 years. That makes me sad. All of us depend upon complete strangers to do their jobs with dignity, honor and accuracy. So at the very least, we should celebrate this miracle at least one day a year. Why do I call it a miracle? Think about it. How many of you are comfortable trusting a complete stranger with your life? Most of us recoil at that idea — until we start thinking about how we live our lives. Every minute of every day, we trust that people we will never meet will do their jobs with honor. We drink liquids, take medicine, eat food and ride in vehicles that are all made by strangers. If they don’t do their jobs right, we could die. But we all assume that these faceless, nameless, invisible workers will do their jobs the right way so that the faceless, nameless, invisible people who use their products will be safe and sound. That is a miracle to me. And in many countries, that is not their reality. When McGuire proposed Labor Day, the world was in the midst of a series of profound changes. The Industrial Revolution had transformed the meaning of work and destroyed the old artisan guilds. People were flooding into cities from the countryside to work in hot and dangerous factories and live in overcrowded and unhygienic tenements. The ideas of a five-day workweek or an eight-hour workday were not even dreams back then. But it was also a time of great change for workers. In the next 40 years, labor unions would find their voice, muckrakers would expose graft and abuse, Teddy Roosevelt would break up the Robber Barons, and the Bolsheviks would turn Tsarist Russia into the Soviet Union. In America, the public uproar that followed the publication of Upton Sinclair’s book “The Jungle” in 1906 led to the passage of the Meat Inspection Act and the Pure Food and Drug Act. The latter established the Bureau of Chemistry (in 1930 renamed the Food and Drug Administration). In New York City, the needless death of 123 women and girls and 23 men during the Triangle Shirtwaist Factory fire on March 25, 1911, had a similar impact. Because the owners had locked the doors to the stairwells and exits — a then-common practice to prevent workers from taking unauthorized breaks and to reduce theft — many of the workers who could not escape from the burning building simply jumped from the high windows. The fire led to legislation requiring improved factory safety standards and helped spur the growth of the International Ladies’ Garment Workers’ Union, which fought for better working conditions for sweatshop workers. New laws were enacted, which included requirements for alarm systems and automatic sprinklers, better building access, the availability of fire extinguishers, and overall better facilities for workers. They also limited the number of hours that women and children could work. By 1916, the U.S. government had mandated an eight-hour workday for government projects. And in 1926, Henry Ford introduced the world to the 40-hour, five-day workweek. Most of this is lost on many of us. So let’s do something different this Labor Day. Let us celebrate the miracle of hard, honest work. Let us celebrate the millions of Americans who make our lives better and safer. And of course, please enjoy your barbecue. Just don’t forget to give thanks to the farmers, the butchers, the factory workers, the truck drivers, the warehouse workers, the grocery store employees and the many other people who made it possible to have something to barbecue in the first place.